The only thing worse than tangled headphones is tangled hair. 1. 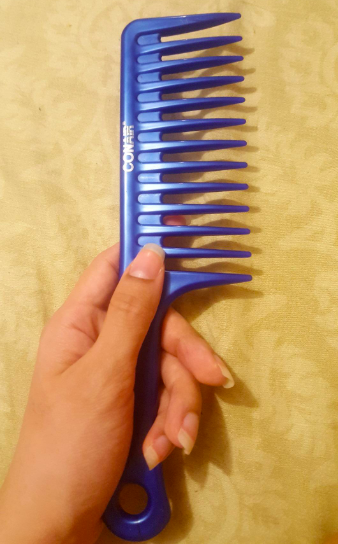 A Conair anti-static comb that'll detangle your knots and reduce frizz at the same time. Get it from Amazon for $2.99+ (available in three styles). 2. 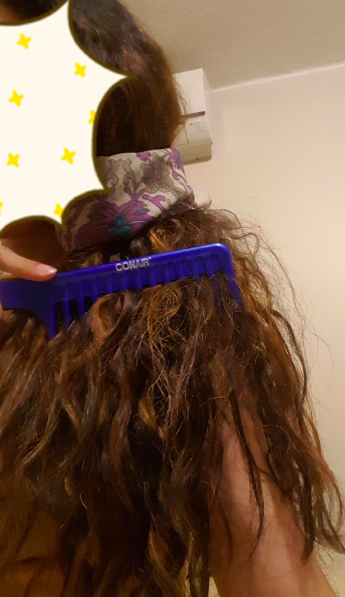 A Cantu shea butter cowash to combat dry hair, which is usually how tangles are formed. 3. A satin pillowcase, because your hair also deserves to rest easy. 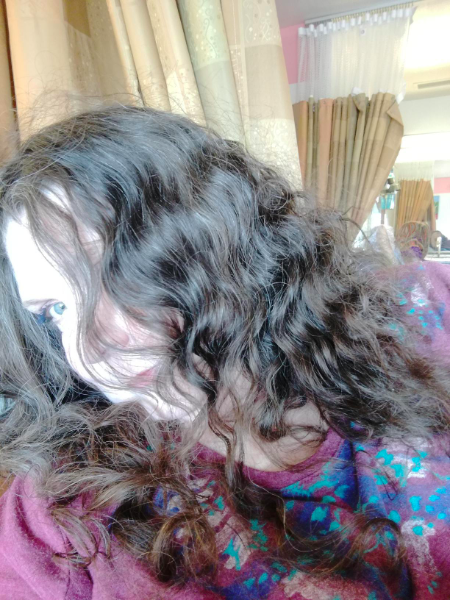 It won't pull at your hair (unlike regular pillows) even if you toss and turn — so you'll wake up with fewer broken strands and frizz-free hair. Get it from Amazon for $8.99+ (available in sizes standard-king and 19 colors). 4. 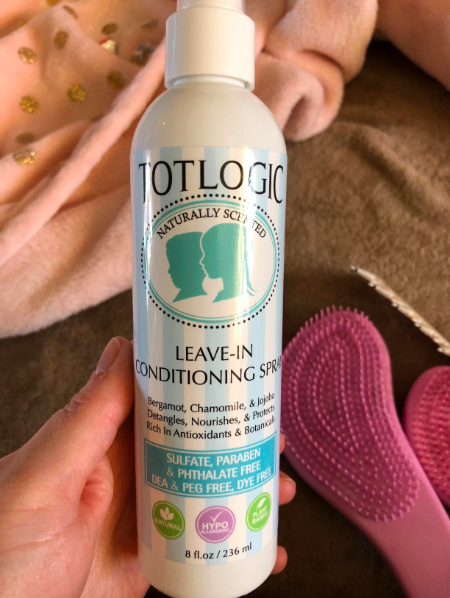 A TotLogic detangling spray that's a leave-in conditioner made with jojoba, lavender, and sweet orange essential oils to help detangle hair and make combing easy. Btw, it's vegan and cruelty-free! Get it from Amazon for $12.34. 5. A Wet Brush with an ergonomic handle to ensure that your wrist won't get sore and soft, flexible bristles for helping you work through those knots without the tears. Get it from Amazon for $8.46. Still not convinced? 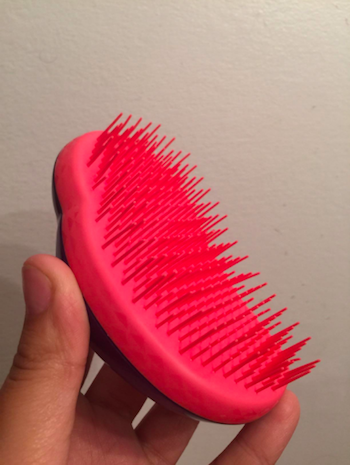 Check out our full write-up of the Wet Brush. 6. 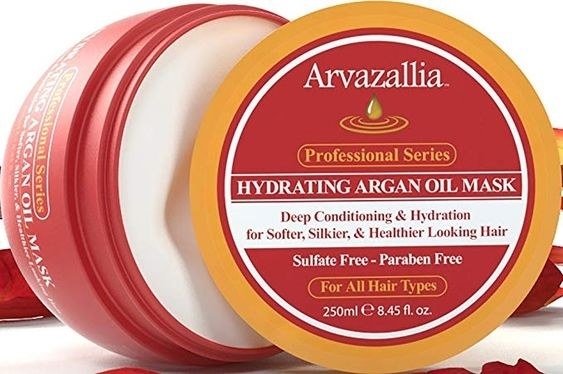 An Arvazallia hair mask made with nourishing argan oil to bring damaged, frizzy hair back to life thanks to its hydrating formula. Need a little more proof? 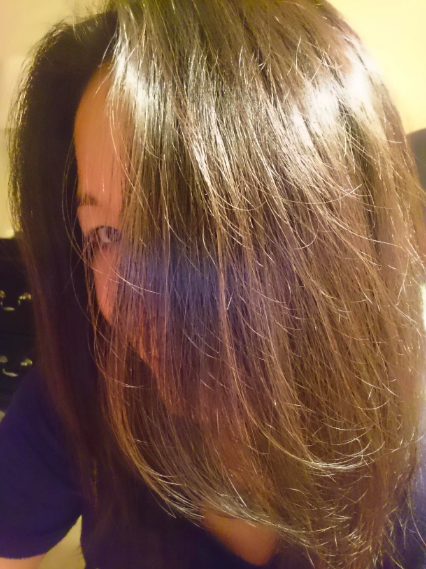 Check out our full write-up of this hair mask. 7. 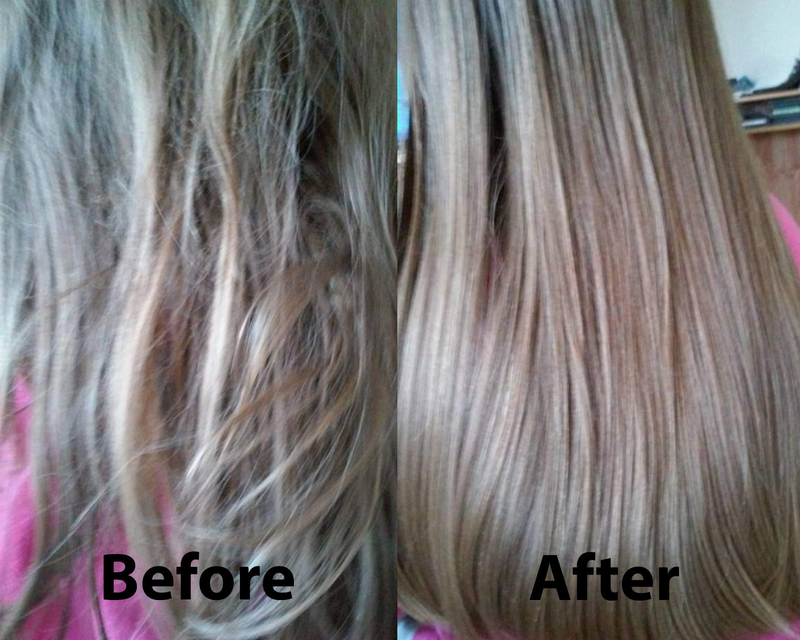 A Tangle Teezer with flexible teeth that can ease the stress of brushing your little one's hair. Get it from Amazon for $10.55+ (available in nine colors). 8. 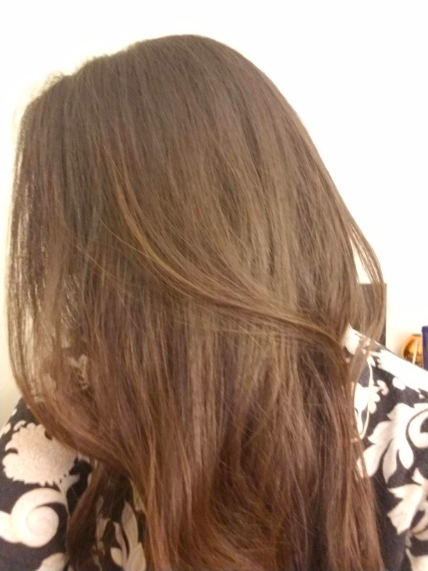 A Drybar pre-styling spray to loosen knots and make them easier for you to remove. 9. 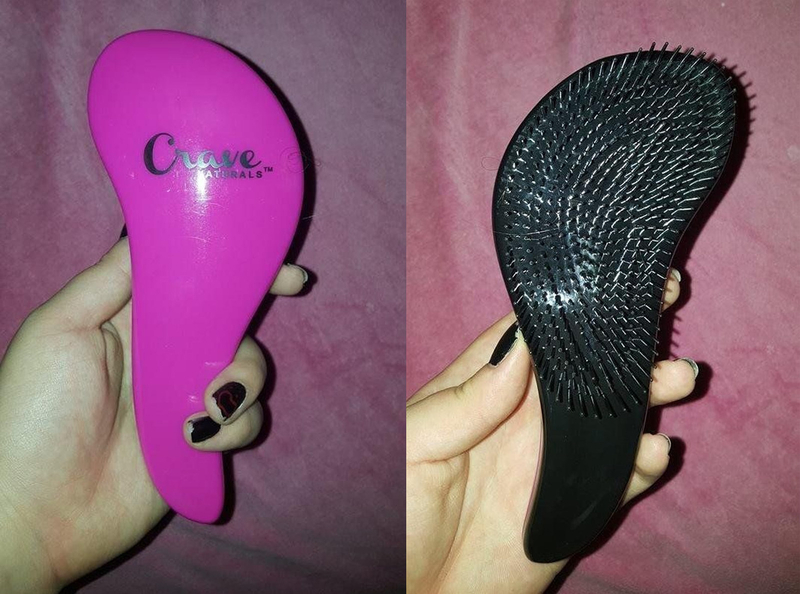 A Crave Naturals detangling brush with cone-shaped bristles that separate your hair sideways — instead of up and down — to remove knots quickly and gently with way less damage to your hair. Get it from Amazon for $10.77 (available in two colors). 10. 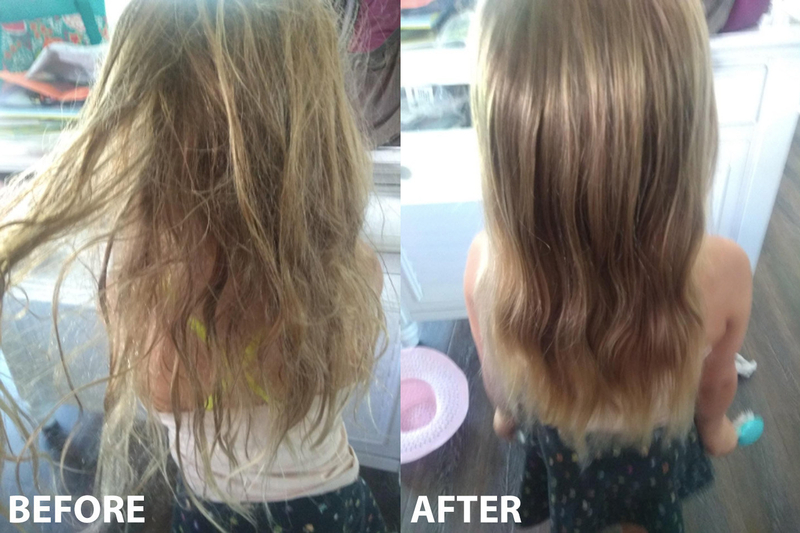 A Mane 'n Tail detangler for the most intense tangles and knots that'll have you reaching for the scissors. 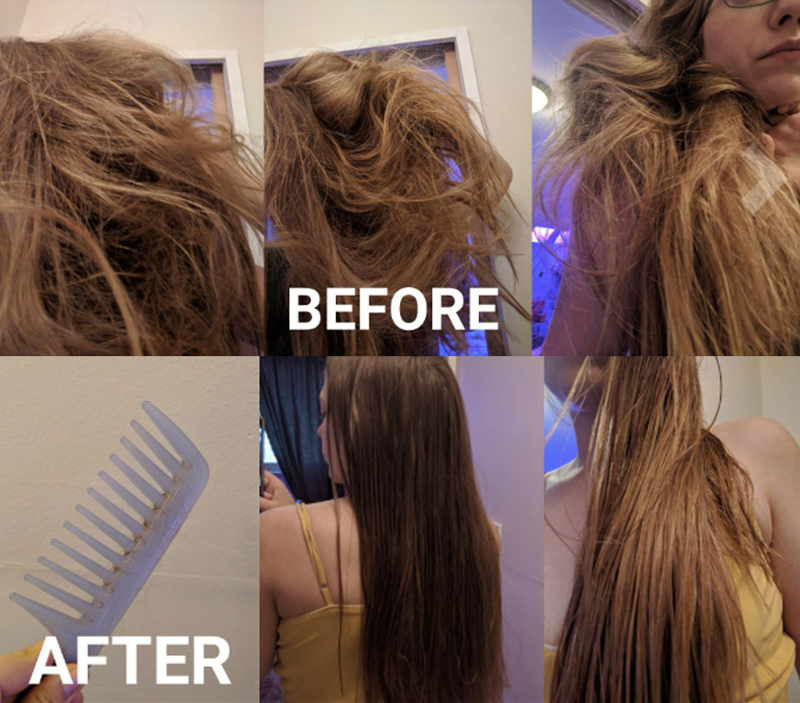 This product saves you from cutting your hair since it's a friction-free slip (originally designed for grooming horses) that leads to fewer broken strands and shinier tresses. Get it from Amazon for $10.57+ (available in two sizes). 11. 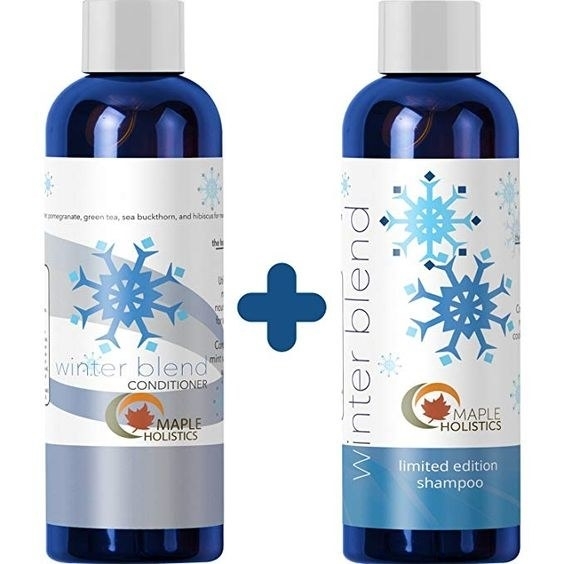 A Maple Holistics shampoo and conditioner made with jojoba and argan oil to help bring some moisture to dry hair, which'll prevent (or when it's already too late, treat) knots. Get them from Amazon for $21.95. 12. 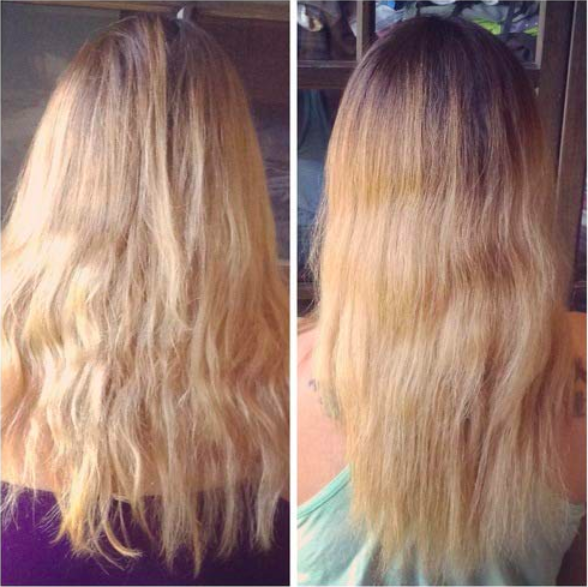 A John Frieda hot air brush so you can style your hair like a professional and not end up with a tangled mess. This brush has two heat settings and a cool setting to set your hairstyle. 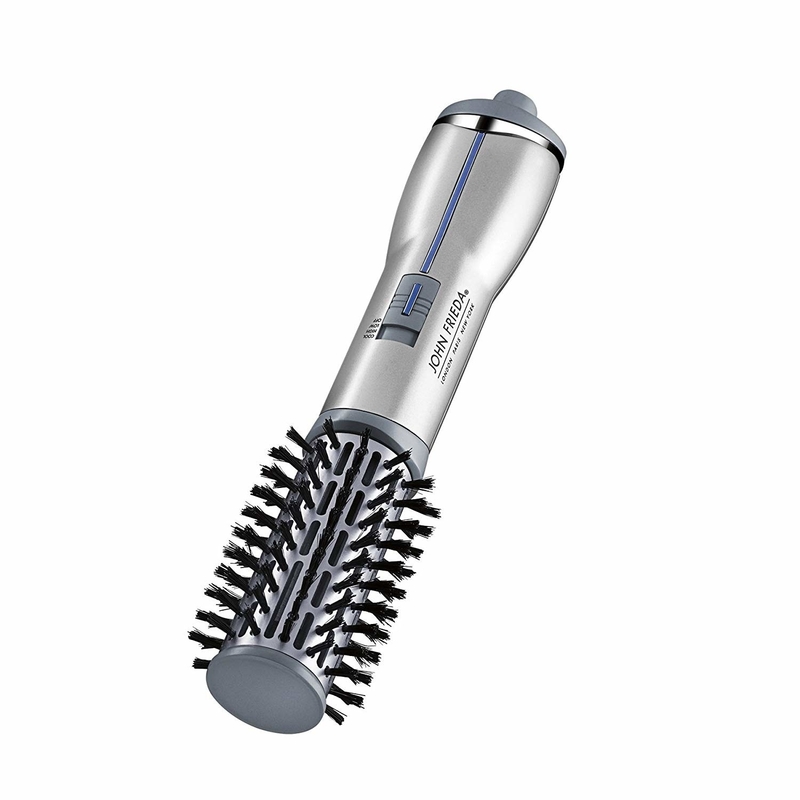 Plus, it has ionic technology to reduce frizz and increase shine! 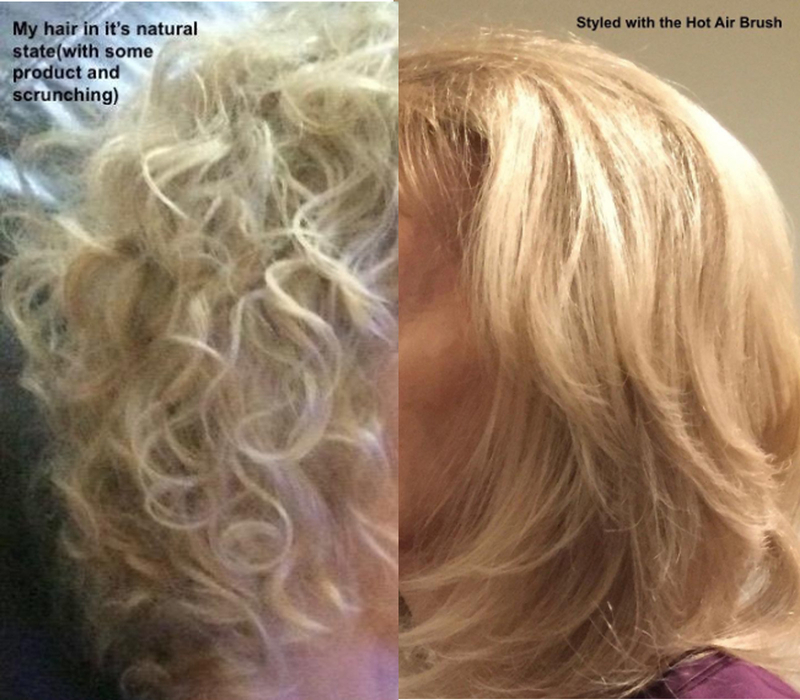 Check out a BuzzFeeder's personal review of this hot air brush. 13. 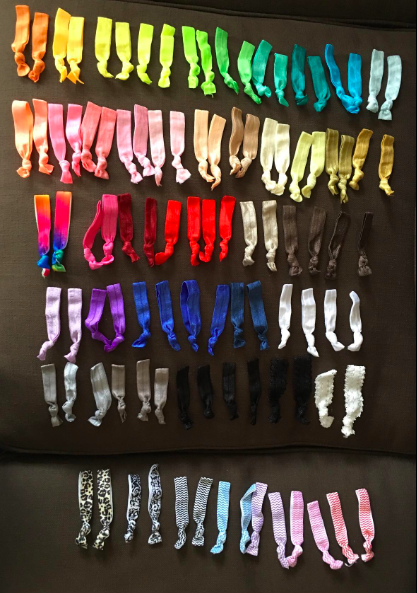 A 100-pack of no-crease hair ties to try if your tangle woes come from hair ties. Promising review: "We love these. They arrived right on time. My daughter and I desperately needed these. The damage that those other type of hair ties cause is incredible — well not with these. They don't tangle, hurt, or break our hair off. If you want to be able to still put your hair in a ponytail and do it in style, then you can't go wrong with these. The beautiful colors, patterns, and quality exceeded my expectations!" —Nadia P.